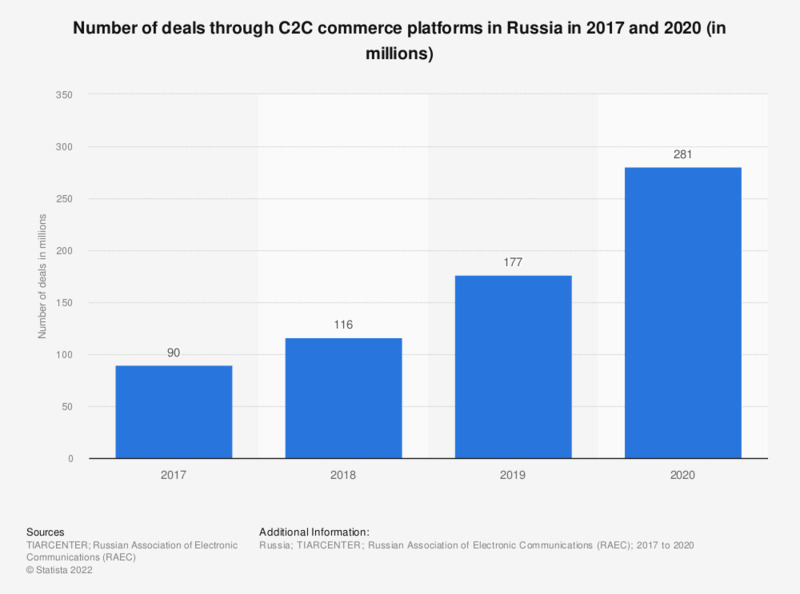 This statistic displays the total number of deals through C2C commerce platforms in Russia in 2017 and 2018. In 2018, the number of deals reached 116 million, an increase compared to 90 million deals in 2017. What kind of problems have you had with sharing economy services? What is your most important reason for participating in the sharing economy? How safe or unsafe would you feel offering an unknown individual the following sharing economy services? What kind of sharing economy websites or apps have you used in the past two years and how often? What kind of good or services would you consider borrowing or renting from others? To what extent do you agree that user ratings on sharing economy sites/apps are reliable? Why have you not used sharing economy services?